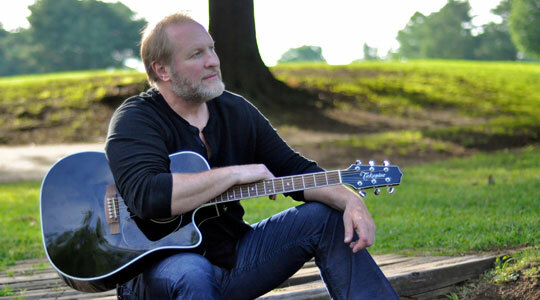 Summary of today’s show: Multi-platinum country music star Collin Raye talks with Scot about his conversion to Catholicism as a young, musician seeking truth as well as his experiences as a husband and then a grandfather seeing loved ones on life support that led to his decision to become a spokesman for the Terri Schiavo Life & Hope Network. 1st segment: Scot said issues concerning human life are coming to the forefront in Massachusetts, especially with a new ballot initiative on assisted suicide. As Christians, we need to be clear and informed on these issues. Our guest, Collin Raye, is a multi-platinum country music artist who recently joined the Terri Schiavo Life & Hope Network as National Spokesman. 2nd segment: Scot said he’s been a fan since the early 1990s when he was living in Cincinnati. Collin said he never really fit in with the country music scene because he didn’t wear a cowboy hat and his style was more pop and ballads. But he has tried to put out songs that have some meaning to it. He thanked God for his ability to make hits of songs that have something positive to say about life. Scot said the song “What if Jesus Came Back Like That” made his look at every person he met on the street in a new way, because Christ comes to us in distressing disguise sometimes. Collin said even for songs he didn’t write himself, his mission was to find songs that he could sing from the heart. His first hit came out when he was 30, but he was working in music since he was 15 in many rough places. He made a commitment to the Lord in those years that he would always strive to build up the Kingdom of God and give him glory. While he would sometimes stray from the path and get caught up in pride, he would catch himself and recognize that the Enemy was at work in him. Scot asked Collin if other country music stars would find it odd for him to step out on a controversial issue like those represented by the Life & Hope Network, including euthanasia and assisted suicide. Collin said publicists and others would tell him to not speak out or be controversial, but he was always a square peg in a round hole, speaking out on things. They always wanted him to go out there for “safe” charities, like cancer research. He was always sure that he wasn’t trying to milk his celebrity for publicity. People in the industry are probably saying that his current position is understandable. Collin said he doesn’t understand why euthanasia and assisted suicide are controversial because it seems so apparent what is right. He’s had family members who were on life-sustaining equipment and their situation turned out differently because they didn’t have a Michael Schindler trying to unplug. Collin said he never expected God to use him, but that’s pretty much what the apostles said about themselves. 3rd segment: Scot asked Collin to share his own story of how his wife in 1985 when she was 6th months pregnant, she had a cardiac arrest and simultaneous stroke. She was dead for 20 minutes. She ended up in a coma for 9 weeks. He reminded us that Terri was never in a coma, but was awake the whole time. His wife, however, was in a full-blown coma. Doctors said she wouldn’t make and the boy wasn’t going to make. But Connie, his wife, and his son, Jacob, are both alive and well today. But that first week, he was already hearing from social workers and doctors about the need to institutionalize her. Then a few weeks later, they started hearing that as the husband he could pull the plug. “Do you want to keep her like this” and “What are you doing to her?” He realized that as a husband of three years, her parents had absolutely no say so in any decision. Obviously, he refused all those offers. She woke up eight weeks later and had to re-learn everything, including walk and talk and eat. He noted that Terri Schiavo was awake the whole time over the course of years. He doesn’t understand people say he had a right. Michael Schiavo didn’t have a right to state-sanctioned murder. He said the case is still relevant because it’s a microcosm of something that’s occurring every single day in America. Scot said he’s sure it’s getting worse because of the pressures of health care costs and with the new Obama health care regulations putting even more pressure to ration health care. He said people couch it in terms like, “Are you sure you want to keep her suffering?” This must be happening even more considering the state of society today. Collin said over 1,000 families have contacted the Life & Hope Network for help. The network is attorneys and doctors committed to life and fighting for life. Those in the situation similar to Terri’s family now have help and guidance in 47 out of the 50 states so far. Collin said Obamacare is so much more than health care. Members of Congress themselves said they didn’t even read it. Government now has control over who gets healthcare. Now it won’t even be family members making these decisions, but bureaucrats. This isn’t about extraordinary care, keeping heart and lungs pumping. Terri and Connie and Jacob were all on feeding tubes. Collin had a granddaughter who died in 2010 from neurological condition who was on a feeding tube. That’s just food and water. Terri was starved and dehydrated to death over the course of 14 days. We would never tolerate a murderer on death row being starved to death. Scot said Terri was even able to speak. It should have been obvious to everyone. Collin recommended that everyone read the Schindler family’s book A Life That Matters: Making the Greatest Possible Difference with the Rest of Your Life that show how everyone in St. Petersburg, including government officials mistreated the family. It reminds him of the Third Reich and how it slowly started to dispose of people that it saw as flawed and a burden on society, including the sick and Down syndrome children. They even did it under the guise of compassion, saying they were taking them off the hospitals, but instead gassing them. Scot said it makes assumptions on the value of people based on how productive they are. He pointed out that the organizations pushing assisted suicide in Massachusetts are called “Call to Compassion” and “Death with Dignity” which are euphemisms. They claim that the right to life comes from the state, not from God. We can’t give that right to anyone but God, including families. Once you place that right anywhere else, you open to the door to insurance companies, doctors, governments, and anyone else. Collin said some would say comparing it to the Nazis is too much, but he is saying that the principles behind it is the same. It is wrong to hand over that control to anyone else. Even if he didn’t believe in God, he would still see it as wrong, because it’s just logical. Call a spade, a spade. If the other side is so sure of themselves that what they’re doing is right, then call it what it is, like Planned Parenthood and abortion. Scot said if we went back to the early 1960s and told them that more than 55 million babies had been aborted in this country since 1973 and we allowed husbands to put their wives to death and that doctors were participating in people’s early deaths, most people would think we were crazy. Collin noted that John F. Kennedy would be rolling in his grave if he knew our country had devolved to this point. JFK wasn’t about government control of life and as a Catholic he would reject all of this. Scot added that in his inaugural address he emphasized that our right to life, liberty, and the pursuit of happiness came from God, not the state. Collin said we can’t let someone else decide whether we can live or die. It’s easy to say it’s okay for someone else when we’re walking around healthy, but if we have an ailment or accident and are cognitively impaired, it is very different. It’s easy to say we’d be okay with it when we’re healthy, but when we’re laying there sick, it can different. Collin said Terri’s mom asked her to say she wanted to live and even though she made sounds that sounded like it, the government didn’t give it credence. Shouldn’t any reasonable doubt have been enough. He said it wasn’t government-assisted suicide, it was government-sanctioned murder. No one knows when that person wants to die. His own granddaughter could do nothing for herself, but she did smile at them. And he’s known other children with similar neurological ailments who could smile, yet some people say that their lives aren’t worth living. Scot said regardless of her condition, she was a gift to her family, the presence of JEsus in their lives, opening their hearts to God. Collin said what would Mother Teresa have done. She would have cared for that person until her natural death. God allows suffering and there is a value in suffering. How do we know that Terri laying there isn’t paying a spiritual bill for someone else who needs spiritual help? God hears our prayers every time we ask, but He doesn’t always heal every ailment because He has a plan. Collin said his own granddaughter was so precious and perfect, she wasn’t made for this world. When she had done everything God had called her to do in this life, He called her home. Collin rejects those who say that ailments can be cured only if you prayed enough. God can answer prayer. He has a new inspirational CD coming out in a few weeks with a song called “I Don’t Always Get What I want, I Get What I Need”. 4th segment: The reason that song, “I Think About You”, appealed to Collin was that he’s an over-the-top dad when it comes to his kids. (They’re 28 and 25 now.) That song is about how men look at women, even in an innocent way. We all quietly, privately notice a pretty girl and check her out. He’d never heard someone in a song remind everyone that this is someone’s baby girl. It wasn’t a big statement, just that we all do this and when he sees it happen, it makes him think of his baby daughter. He was shocked it was as popular as it was, he thought people would be offended. It affirms his belief that the majority of people in this country are good people who want to do the right thing. Scot noted that Collin was a convert to Catholicism in his early 20s. He was raised in northeast Texas, Texarkana. It was very much in the Bible Belt with 20 Baptist churches for every Catholic parish. He grew up Southern Baptist and knows his Bible and is grateful for that upbringing. He always felt there was something more though. He felt like something was wrong with the common Protestant doctrine of “Once saved, always saved.” He felt like conversion should be something that happens every day. Being Christian was a tough proposition but the doctrine made it seem kind of easy. In his early 20s he was looking for a church to fit him better, but none of the Protestant churches were enough. But there was a couple who kept coming to his shows and he saw their crucifixes. He finally asked them if he could go to Mass with them and he went. He walked into the church and felt an overwhelming blessed heaviness in the air that he’d never experienced before. Other churches of his experience were nice pleasant meeting halls, but this had a peace that he found out later was the Presence of Jesus Christ in the tabernacle. That’s all it took for him to want to learn more and took instruction over the next few months. Every time he was presented with a Catholic doctrine, he would ask “Where is it in the Bible” and he would be shown where, much to his surprise. He is very grateful for finding his Catholic faith. He has a new album coming out at the end of October called “Through It All His Love Remains”, and will be available at Catholic bookstores and on Amazon and iTunes.